“You were born to be a camp counselor” is what my mom told me in a recent phone call. That comment took me back to working as an actual camp counselor during high school summers; my time as a Freshman Orientation leader, welcoming new students to the university and helping them understand the in’s and out’s of student life; and the time I worked at an outdoors challenge course, guiding student groups and corporate teams through team building activities; and finally to the role I play here at SocialCops on the People Operations team. I think my mom was right. The term “People Operations” is a bit of a vague and ever-changing job title, and would undoubtedly look different at a different company. But to me, People Ops means supporting my team. It means that my day-to-day focus is making sure that people at SocialCops are happy, growing, and feeling fulfilled by the work they are doing. And for me, working to make sure that people are excited to come in to work and feel connected is the most meaningful thing that I could do here. The environment that startups facilitate — especially SocialCops — is simultaneously completely overwhelming and the most empowered I have ever felt in my professional career. 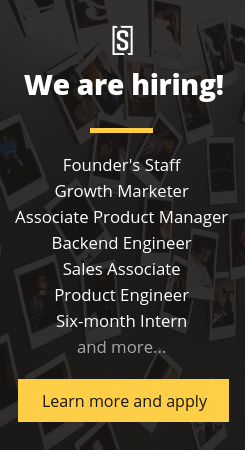 I more or less fell into the start-up world on a whim, working at one other tech company prior to joining SocialCops. I am not a techie by background or skill set — in fact I am far from it — but I can safely say that I have become a total convert. The environment that startups facilitate — especially SocialCops — is simultaneously completely overwhelming and the most empowered I have ever felt in my professional career. The expectations are higher, the speed at which decisions are made is faster, and there is always more work to be done. It’s a place where we’re encouraged to solve problems. For the engineers, data analysts, and marketers at SocialCops, this means building products, interpreting data, cutting deals, and spreading the word about our work at a remarkable speed. And problems that I get to solve are the ones that matter the most to me — the ones that affect the people that make up the backbone of this company. I spend my days thinking about how to bring teams together, how to best welcome someone into the company, how to build up our culture and traditions, and how to create systems and processes so that everyone has the information they need to do their job better. I love getting to talk one-on-one with team members two days or two years into their time at SocialCops. I love the personal connections I get to make with newcomers to the company. And I am grateful for the trust that SocialCops and the People Ops team have given to me. The stories, the traditions, the learnings and the love of this company are very much alive. And I am lucky enough to help keep it going. After just six months at SocialCops, I started to see amazing changes within the company. New faces brought energy and ideas, improved documentation and information sharing facilitated new connections between teams, and we’ve been consistently building up our library of internal resources and tools. I am excited for what the next six months will bring. The opportunities are endless. Mistakes and missteps are inevitable in a growing company — and I am certainly no expert in matters of team support — but the one thing that I will surely never jeopardize are the people at SocialCops. Being able to join the company at a time when the founders are still sitting at a desk next to me, and when most of the original hires are within eyesight across the room, means that I get to learn from the people who made SocialCops what it is today. The stories, the traditions, the learnings and the love of this company are very much alive. And I am lucky enough to help keep it going. Interested in joining SocialCops? Check out our Careers page for much more information!